Good evening! 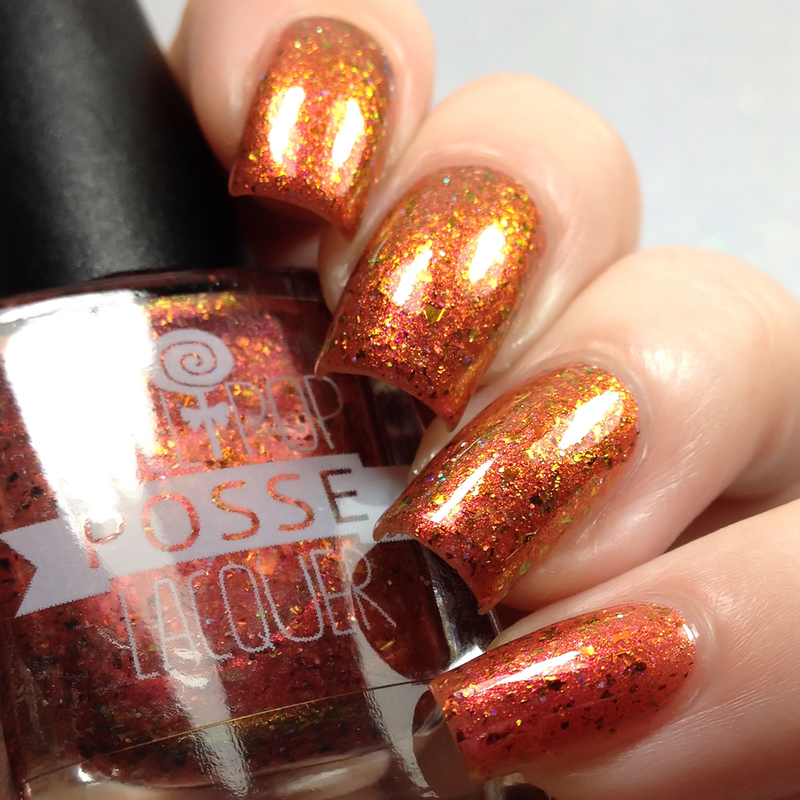 I have a gorgeous polish from Lollipop Posse Lacquer to share with you tonight! This is a custom Karen made for the Facebook group "Polish My Fandom" which is a polish group dedicated to the love of polish and fandoms. 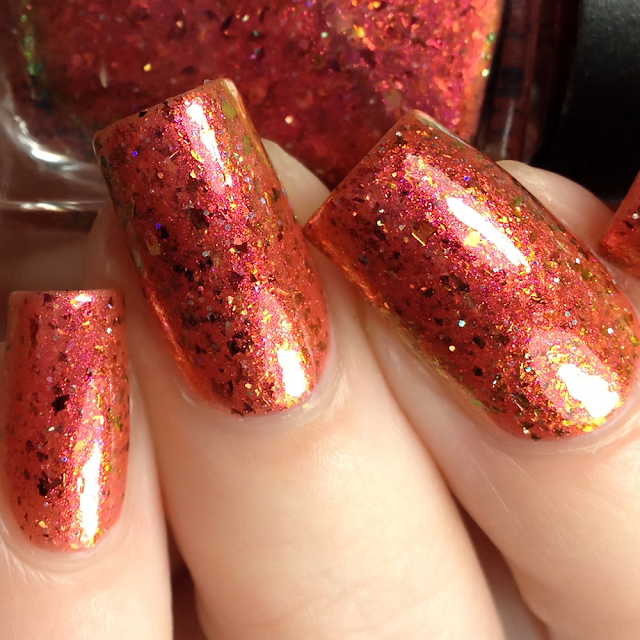 Karen's polish is inspired by the fire demon Calcifer, from "Howl's Moving Castle". "Here's another curse! May all your bacon burn!" -Calcifer, "Howl's Moving Castle"
Described as a red-based crelly that is filled with red to orange shifting Aurora shimmer, silver holographic accents, red/gold shifting chrome flakes, and copper/red/gold shifting iridescent flakes. Shown here in two coats plus top coat. Formula was good and applied well. Dries with some texture so a top coat is needed for a full glossy finish. 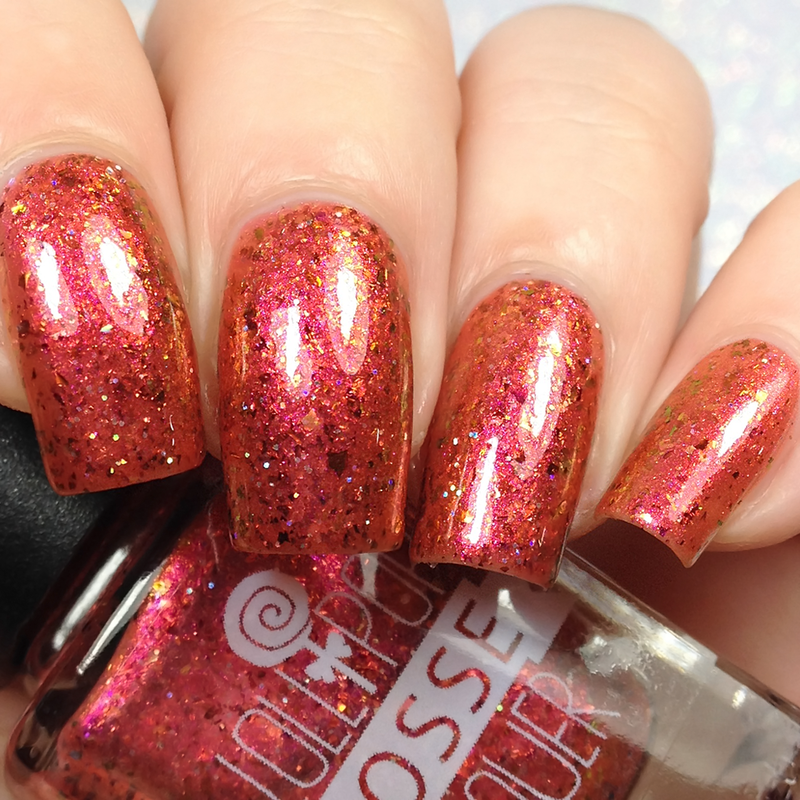 Available on the Lollipop Posse Lacquer website, 1/16 - 1/20.